Despite the decision, the hard work of dealing with Russia on key issues — including P5+1 efforts to prevent a nuclear armed Iran, reducing bloated U.S. and Russian nuclear stockpiles, addressing the Syrian catastrophe, and more — can and must continue. On June 19, President Obama proposed to engage Russia in negotiations to achieve a further one-third reduction in U.S. and Russian nuclear stockpiles below the ceilings set by the 2010 New START agreement. Since then, Russia has responded with a number of outdated and illogical caveats and conditions. As I outlined in an op-ed for The Moscow Times on July 3, the logic for “Hitting the Re-START Button” is strong and there are good reasons why Russia should rethink its position. For instance, Putin and Russia’s Ministry of Defense do not yet seem to understand the significance of the Pentagon’s March 2013 decision to terminate its Phase Four missile interceptor program in Europe–which is that there is no U.S. missile interceptor capability in place or under development that is capable of downing Russia’s advanced strategic missiles. As of this week, Russia has not yet responded to a U.S. offer from April for a legally binding ­agreement for the regular exchange of information on missile defense programs, which could help Russia verify U.S. claims about its limited missile defense capabilities. Such an agreement, accompanied by a joint presidential statement reaffirming that the two countries’ missile interceptor programs do not threaten each others’ security, could go a long way toward addressing Russia’s concerns. Meetings this month, including an August 9 meeting of the U.S. secretaries of state and defense and Russia’s foreign and defense ministers, were designed to gauge the opportunities to make progress. The White House decision to cancel of the scheduled Putin-Obama meetings in September, however, is an unfortunate detour that will delay progress. But the process of reducing excess Cold War weaponry and resolving disputes about missile defense cannot be put on the shelf indefinitely. Why? Further negotiated reductions of strategic nuclear arms, as President Obama proposed on June 19, make sense for the United States and Russia. Such cuts would reduce their bloated Cold War nuclear stockpiles and open the way for sorely needed defense budget savings for both countries. A new negotiation on a follow-on nuclear arms reduction treaty may be the ideal way to go, but it is not the only way. As the State Department’s International Security Advisory Board’s Nov. 27, 2012 report suggests, Russia and the United States could seek additional reductions on the basis of a mutual understanding rather than a formal treaty. Such an understanding “can be quicker and less politically costly, relative to treaties with adversarial negotiations and difficult ratification processes,” the board wrote. For example, Obama and Putin could announce parallel, reciprocal reductions to 1,000 or fewer strategic deployed warheads within the next five years, to be verified using the monitoring provisions established by New START. This strategy would help compel Russia to build down rather than build up its strategic nuclear forces. 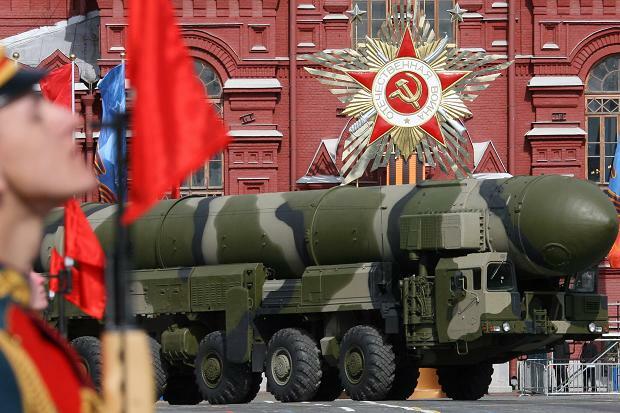 Russia, which has a strategic nuclear force already is below the New START limit of 1,550 deployed warheads, is developing a new, heavy intercontinental ballistic missile to match U.S. force levels. More rapid reductions of U.S. and Russian nuclear forces, which comprise 95 percent of global stockpiles, also would increase pressure on China and other nuclear-armed states to join the nuclear disarmament enterprise, an objective that leaders in Russia and United States say they support. Significant budget savings can also be achieved with further reductions in current, Cold War-sized nuclear forces. An assessment by the Arms Control Association identifies about $40 billion in taxpayer savings over the next decade if the United States right-sizes its nuclear force to about 1,000 strategic deployed nuclear warheads. Summit or no summit, the U.S.-Russian nuclear arms reduction effort should go on. This entry was posted in Missile Technology, New START, Nuclear Weapons and tagged New START, Nuclear Reductions, President Obama, President Putin, Topol-M ICBM, U.S.-Russian strategic relationship. Bookmark the permalink.